Celebrating its 11th year and being declared in 2010 as “Provincial Tourist Singularity Party.” The town of Campillos invites us to join in this Gastronomic Festival. The Festival takes place at the Jose Maria Hinojosa Park, where there will be around 55 different companies, selling various products from around the region. 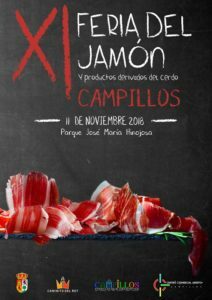 The main product is the Jamon, The Ham will be sold at very reasonable prices, from 3€ and will be available for tasting from various stalls. 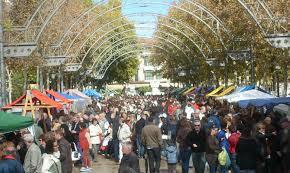 There will also be locally produced sausages, cheeses, sweets, olive oils and other local produces. Beside the hams, there will be street entertainment, Flamenco by the group El Callejon and also there will be a Charanga playing. As has been recent tradition, the town is providing free guided tours of the area with the tourist train. The free train will visit a variety of local establishments selling local products. Join us in a luxury air conditioned coach and enjoy a day discovering the Beauty, Culture and Traditions of Inland Andalucia.